Abstract: The results of the Ottoman census books for the Branković Region, i.e., the sanjaks (provinces) of Vučitrn, Skadar and Dukadjin dating from the second half of the 15th and 16lh century, placed in the context of the general political and historical events in the Ottoman Empire, present some of the most valuable sources for the research of demographic movements in Kosovo and Metohija during the first two centuries of the Ottoman rule. Those data show the ethnic homogenity of the Serbian population of present-day Kosovo and Metohija in the above-mentioned historical period. The ethnic structure of Kosovo and Metohija radically changed immediately after the Great Migration of the Serbs in 1690, when the Serbian population left this region, and their settlements were occupied by Albanian nomadic tribes, who descended into these fertile lands from the harsh mountain regions of northern Albania. Although this issue has not been satisfactorily elaborated in historical science so far, the available sources make it possible to draw some firm conclusions about the forcibly changed ethnic structure of Kosovo and Metohija, beginning with the 18th century, when an Albanian settlement network was established in a region that had a majority Serbian population during medieval times and the first centuries of the Ottoman rule. Key words: Kosovo and Metohija, Ottoman Empire, Ethnic Structure, Ottoman Census Books, Migrations. The study of the demographic movements in the Serbian lands under the Ottoman rule represents one of the key questions of the past of the Serbian nation, which has yet to be scientifically elaborated in an appropriate way. In general, research in the field of historical demography in domestic scholarship is not represented to the extent that its significance, not only for the evaluation of the past but for the perception of the present and for thinking about the future, would demand. Such a state of research of historical-demographical parameters, in the case of the period under Ottoman rule, is primarily the result of an absence of adequate sources that would serve as a basis for drawing the relevant conclusions. Among the relatively inaccessible Ottoman archival materials, defters – the Ottoman census books – represent one of the fundamental and most significant historical sources, especially important for the study of the demographic movements in lands under the Ottoman Empire. The significance of these sources influenced the birth of the idea to carry out, on the basis of the Ottoman census of the Branković Region from 1455 (published in 1972 by the Oriental Institute in Sarajevo), various analyses, in the first place of a demographic nature, and to arrive at certain conclusions about the state of population settlement in this Serbian region immediately after full Ottoman rule was established in it. The results obtained by the researchers confirmed the correctness of the decision to undertake this work. Although one could certainly accept the objections that the sources that were used were partly inadequate (first, the Branković Region covered by the defters is not equivalent to the Region ruled by Vuk Branković in the years preceding the Ottoman conquest of the southern portion of Serbian lands and, second, the data in the defter itself is incomplete, as the census included only the population with the status of reaya, i.e., subjugated, non-Muslim subjects – while excluding other social groups with a different fiscal status), today we nevertheless have at our disposal data about the population of an area encompassing about 80% of the territory of present-day Kosovo. – Accepting the knowledge concerning medieval populations arrived at by demographic science throughout the world, while having in mind the structure of the Ottoman census as well as the hypotheses about the general social conditions under which the population of the Region developed, an index of 4.40 was used to calculate the population number, giving an estimated total population of the Region of 67,500 in the mid- 15th century. This estimated population size is certainly lower than the true size of the Region’s population, because the fiscal census that served as the primary source did not include the category “permanent population,” which left out a number of persons who were not taxpayers, as well as those who were granted tax benefits for service of significance to the functioning of the Ottoman state. Although limiting, this fact still cannot fundamentally change the final result. The cited results, highly precise and valuable even by today standards of scholarship, would reach their full significance only if placed in the context of the demographic movements both in the decades that preceded them and in those that followed the final fall of the Branković Region to the Ottoman rule and its inclusion into the fiscal register in 1455. The recorded anthroponymic fund (24,795 personal names) in this source made it possible to reach dependable conclusions about the ethnic structure of region population covered by the census. The most numerous ethnic group in the Branković Region in 1455 were members of the Serbian people who, judging by the personal names, accounted for 95.88% of the region’s total population. The Albanian population accounted for 0.26% of the regions total population, with 16 Bulgarian (0.09%), three Greek and one Croatian household also being recorded.. The number of personal names of indeterminate origin was practically negligible (1.56%), while there was a certain number of names of Romanic (1.90%), Greek (0.25%), Germanic (0.07%), Hungarian (0.05%), Celtic (0.02%), Persian (0.02%) and Arabic origin (0.004%). Even a casual look at the ethnic structure of the population of the Branković Region allows us to conclude that Albanian names throughout the region were few in number, i.e., that the percentage of the Albanian population was low. In the Dolci nahiye (Turkish district), 0.90% of the secondary names were Albanian, while their percentage among the names of sons was only 0.10% in 1455. Although the interpretation of this phenomenon remains in the domain of conjecture, Milica Grković’s reasoning seems logical – i.e., that after the Ottoman takeover of this region the Albanians became more reluctant to migrate from their ethnic center, primarily out of fear of the changed political and social circumstances. An analysis of the toponymic network in the Branković Region confirms the results produced by anthroponymic analysis. The census of 1455 encompassed 692 raya villages in the Branković Region, of which 483 (70%) had names of Serbian, i.e., Slavic origin, 98 (14%) had a combination of Slavic and non-Slavic language elements, while 85 (12.2%) setdement names were of indeterminate origin. In addition to the ethnic structure of the population of the Branković Region, analyses of personal and settlement names show that the territory settled by a Serbian population during the time of the Serbian state had remained ethnically undisturbed, while coincidence among the names in the mid-15th century, the absence of new roots and the invariability of suffixes in comparison with Serbian names from earlier periods are testimony to the Serbian people s attachment to tradition, even in very difficult times, as the first half of the 15th century undoubtedly was, not only in the Branković Region but throughout the territory of present-day Kosovo and Metohija. Although summary and, thus, less useful for various analyses of a demographic nature, the data from the 1487 census of the Vučitrn sanjak (Turkish province), which encompassed the one-time Branković Region, show that in the thirty years between the two censuses the ethnic situation in this region had not practically changed at all. Thus, at the end of the ninth decade of the 15th century, there were 16,729 Christian households (of which 412 in Priština and Vučitrn) compared to 177 Muslim households, of which 94 were in Pristina and only 83 in rural areas. A population with characteristically Albanian names was found in greater numbers only along the rim of present-day Metohija, i.e., the regions west and south of Djakovica. More detailed onomastic analyses shows that, from as early as the mid- 14th century all the way to the end of’ the 15th century, individual Albanian settlements appeared either between active or on the foundations of empty Serbian settlements, abandoned in front of the Turkish onslaught. Taking advantage of the newly changed circumstances, mobile Albanian herdsmen took over the abandoned land and established their own settlements, which were neither large nor densely populated in this period. A review of the Vučitrn sanjak censuses from the end of the 16th century shows that the Serbian people were the largest ethnic group in Kosovo during this period as well, while the numbers of the non-Serbian population, mostly of Albanian origin, more than a century after the above­mentioned Branković Region census of 1455, were insignificant. Smaller groups of Albanians were registered at the end of the 16th century in certain cities and mining centers, while there were almost none in the Kosovo villages, and even where registered these were isolated households and not ethnic wholes, which gives ample proof of both the ethnic stability of this region a full 150 years after its definite fall under Ottoman rule and the unacceptability of claims made by some Albanian historians about a continual Albanian presence in this region dating as far back as early medieval times. An analysis of the onomastic data from the 1582/83 census of the Skadar sanjak reveals the distribution of the Serbian and Albanian population in this province of the Empire, encompassing parts of present-day Metohija, Montenegro and northern Albania. The region situated in the west of the Bojana river, between Lake Skadar and the Adriatic Sea, was populated by a distinctly mixed Serbian and Albanian population. However, in the Zabojana and Krajina nahiyes, for example, where the Albanians were the largest population, Slavic settlement names predominated. The defter notes, which regarding some of the villages say that “their population had fled” (perakande olup), but also that “since ten years ago they are being resettled,” indicate that the Albanians, among which Islamization had already taken root, were settling in these parts lands previously belonging to the fleeing Serbian raya. In the ninth decade of the 16th century, in the Skadar sanjak, the Serbs were the majority population in the nahiyes of Šestan, Mrko, the nahiyes in Zeta (Bjelopavlići, Vražegrmci, Pobori), as well as in the Podgorica and Žabljak nahiyes. Although the Serbian ethnic component predominated, the population of the Kuči nahiye included a large number of Albanians, who were the majority population in Klimenti and Hote. Albanians were also the majority population in the nahiyes extending to the east of the Bojana River and Lake Skadar, while Serbs could be found only in Skadar and some of the villages of the Skadar nahiye. However, the preserved toponyms in the plains east of Lake Skadar, such as Zlogora, Brežje, Grmčar, Podgor, Kosmac, Poljičani, Popine, indisputably point to the past presence of the Slavic-Serbian element on the territory of present-day northern Albania. Just as in the case of the regions west of Lake Skadar, the defter notes here also give testimony to the abandonment and subsequent resettlement of some of the villages. The relatively frequent mention of inheritances in the Skadar nahiye census also bears witness to past significant Serbian numbers in the villages around Skadar. The Albanian population made up a majority in the Dushmen Ili nahiye, but, again with the presence of Slavic toponyms, such as Varoš, Dragoš, Selište, etc. while the nahiyes of the upper and middle Lim basin, Plav, Zla Reka, Budimlja and Komoran were populated exclusively by Serbs, with a large number of priests being also registered. At the end of the 16th century the Serbian population represented the ethnic majority in Metohija, where an Albanian population could be found in only about 30 villages, out of a total of 235 registered in the Peć nahiye. The demographic and ethnic population shifts in the regions out of which the Ottoman authorities formed the Skadar sanjak become clearer when looking at the example of the Altun Ili nahiye, a region located in the present-day border area between Serbia and Montenegro and Albania, on the southern and southeastern slopes and branches of the Prokletije mountains. 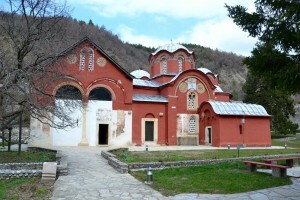 According to the research of M. Grković and M. Pešikan, except in the village of Grevi, the medieval population of this region was Serbian, while the first changes, in the ethnic makeup of the region’s settlements occurred at the end of the 15th century; when a zone of Albanian settlements was formed in the area between Djakovica and the Beli Drim river. At the time of the Skadar sanjak census during the 1580s, the Serbs still formed the majority population of the Altin region, but a constant process of change in its ethnic makeup is evident. This was the time of the first organized uprisings against Ottoman rule in the Serbian ethnic space, which a still powerful and organized central authority managed to put down, but only through wide-scale repressive and punitive measures against the population. This is precisely what happened with the village of Lužine in the Altin nahiya, where a census scribe recorded the following: “Since the said village is renegade, it has been raided by High (sultan’s) Order. Some of its raya were killed while others were turned into slaves. The present census found only 6 persons”. All those subsequently brought to settle this village had characteristic, Albanian names. In Prizren and its vicinity, according to census data from 1591, the Serbian population was still quite numerous, although an increasingly strong Albanian presence could be felt, while the defter of the Dukadjin sanjak for the same year for the Gora and Opolje nahiyes shows that the majority of the residents of Gora were members of the Serbian people and that the process of Islamization in this region was only beginning to take root, while the Albanian Muslim population dominated in the village of Opolje. In general, the ethnic boundary between Serbs and Albanians up to the end of the 17th century coincides with today’s border between Serbia and Montenegro and Albania along its entire length from the Adriatic Sea to Lake Prespa, with, of course, an understandable presence of both peoples on either side of the border. Such a conclusion, reached primarily on the basis of defter data is also confirmed in reports by Papal inquisitors, which clearly testify that the ethnic border between the Serbs and the Albanians ran along the Crni Drim and Beli Drim rivers. It was precisely then, in the last decade of the 17th century, that a powerful wave of colonization by Albanian tribes into the territory of present-day Kosovo and Metohija began; thus, the most serious consequence of that watershed event in Serbian history, the Great Migration of 1690, were the turbulent demographic changes that took place on the territory of the southern Serbian province during this period. In 1690, the Serbs headed north under the leadership of Patriarch Arsenije III Crnojević, in fear of harsh Turkish retribution for their support of the Austrian army, which, after a successful offensive taking it all the way to Prizren and Skoplje, was forced to withdraw. They first headed in the direction of Belgrade, and then across the Sava and the Danube into the Habsburg monarchy, leaving their villages in Kosovo and Metohija empty and the fertile land neglected and untilled. The Albanian tribesmen from the harsh mountain regions of northern Albania reached a compromise with the Ottoman authorities and were granted permission to settle the abandoned rural households and mining settlements in Kosovo and Metohija. In the process, a good part of the Albanian Catholic element converted to Islam, reaping all the accompanying benefits this implied. They joined the ranks of the Ottoman army and administration in great numbers, thus securing the right to keep the land they had occupied and to wage violence against the remaining Serbian element, which had remained faithful to the religion of its ancestors. The 17th century disintegration of the timar (i.e., grant of lands or revenues by the sultan to an individual in compensation for his services) and janissary system, the basic principles on which the Ottoman state of the 15th and 16th centuries had rested, actually favored and facilitated the Albanian colonization of Kosovo and Metohija. With the coming of the Albanian nomadic tribesmen, the local pashas and beys, who were mostly of Albanian origin, gained powerful tribal armies that guaranteed their survival in power – even during uprisings and rebellions, as well as allowing them, contrary to the law, to pass on their functions to their descendants. The rooting of Albanian colonies in Kosovo and Metohija was also aided by Catholic missionaries who, instead of working to preserve the local Albanian Catholic community, directed all their efforts toward undermining the significance of the Peć Patriarchate. The process of Serbian emigration and Albanian immigration on the territory of Kosovo arid Metohija continued during the entire course of the 18lh century. The turbulent times, primarily the result of three Austro-Turkish wars (1716-1718), (1737-1739) and (1788-1791), as well as a Russo-­Turkish war (1768-1774), facilitated the spread of anarchy and lawlessness not just on the territory of Kosovo and Metohija but on the entire territory of Serbia under the Ottoman rule. Plundering, murders and rapes perpetrated by Albanians, who were outside the law, were an everyday occurrence. The crimes committed by the Albanian gangs were so frequent that even the local Muslims complained to the Porte, asking for the sultans’ protection. Under such circumstances, seeking to protect their own lives and basic existence, one number of Serbs in Kosovo and Metohija decided to convert to Islam, seeing this as a necessary evil and hoping the day would come when they could return to Orthodoxy. Retaining this hope, the first several generations of Islamized Serbs preserved their language and customs, especially the celebration of their patron saint or Slava. But subsequently, under pressure from the ubiquitous Albanian environment, some Islamized Serbian families succumbed to a complete change of national identity, accepting the Albanian way of dress as well as the Albanian language, while keeping the Serbian language and tradition only within the close family circle. At the end of the 18th century, Islam was also accepted by the population of Gora, a mountain region near Prizren, but its population managed to preserve its language and resist the process of Albanization. Some Serbian families from Kosovo and Metohija converted to Islam in the mid- 19th century, during the Crimean War, again with the intention of preserving life and property; but this period was also characterized by another great migratory wave, in which entire families, sometimes even entire settlements, fled to Serbia or Montenegro, seeking more peaceful life and greater security. The data from the Ottoman census defters for the Branković Region, i.e., the sanjaks of Vučitrn, Skadar and Dukadjin, covering the second half of both the 15th and the 16th century, placed in the context of overall political conditions and historical events in the Ottoman Empire, represent one of the most valuable sources for the study of the demographic movements of Kosovo and Metohija’s population during the first two centuries of Ottoman rule. Although their primarily fiscal character does not allow the making of absolute estimates of either the population size or the birth and mortality rates in this region, the defters are nevertheless valuable tools for examining trends of growth or decline in the population with the status of raya. In addition, thanks to the first-rate onomatological data they provide, they represent a fundamental base for investigating the ethnic structure, as well as the ethnic changes facing the population of Kosovo and Metohija between the Battle of Kosovo (1389) and the Great Serbian Migration of 1690. For the period that followed, filled with the unrest and lawlessness that overtook the entire Ottoman Empire and the resulting breakdowns in the administration of everything, including census books, it is a methodological imperative to seek other types of sources, both of Ottoman and foreign origin (imperial edicts, qadi sijils [court orders], reports by papal inquisitors, written records and inscriptions). Even though less open to statistical generalizations, these sources, which have yet to be adequately researched, nevertheless make it possible to draw some firm conclusions about the forcibly changed ethnic structure of Kosovo and Metohija, beginning with the 18th century, when an Albanian settlement network was established in a region that had a majority of the Serbian population during the medieval times and the first centuries of the Ottoman rule. In this work, historical demographics have been understood in a broader sense than Presat/Wilson’s definition by which this science is “merely an application of demographic analysis techniques to original historical sources.” Starting from the thinking that Kertzer brought out in 1997, that the traditional questions with which demographers deal cannot be answered solely on the basis of quantitative materials and statistical analyses, “we consider that demographic changes may be understood only if viewed in a broader historical context, with the use of narrative sources to supplement the quantitative ones.” For more details, see: R. Presat, The Dictionary of Demography, edited by C Wilson, Oxford 1985; D. Kertzer, “Qualitative and quantitative approaches to historical demography”, Population and Development Review 23 (4), 1997, pp. 839-846. The results of the work done on this project were published as a special edition. See Милош Мацура, Област Бранковића 1455. године (Miloš Macura, The Branković Region in 1455), Belgrade 2002, pp. 1-793 (further: Oblast Brankovića). Oblast Brankovića, p 431. ‘ . The index of 4.40 members to the household may be considered as a moderately low value. In domestic historiography, in the majority of Ottoman works dealing with population estimates of certain regions based on Ottoman census books, an index of 6 and even 8 members per household was used. However, since most European researchers, both Medievalists and Ottomanists, agree that the average household in the developed Middle Ages numbered between 4 and 5 members, the above index of 4.40 was taken, allowing for all differences of opinion and the complexity of the task at hand. In addition to the fact that this study, based on a series of defters, was analytical rather than simply descriptive, the study of at least three successive defters allows researchers to reach certain conclusions with a much greater degree of accuracy. Entire villages, city parts, cities, even entire regions disappear between censuses, and it is possible to find the cause only by consulting series made up of at least two or three consecutive censuses. Oblast Brankovića, p. 619. Also see: Mилован Радовановић, Етнички и демографски процеси на Косову и Метохији (Milovan Radovanović, Ethnic and demographic processes in Kosovo and Metohija), Belgrade 2004, pp. 215-222. There were ethnic Serbs even among the population with names of foreign origin. Thus, for example, the name “Oliver” was very popular among the Serbian residents of the Branković Region in mid- 15th century. This name was also found in the decades that followed in the Smederevo sanjak area. 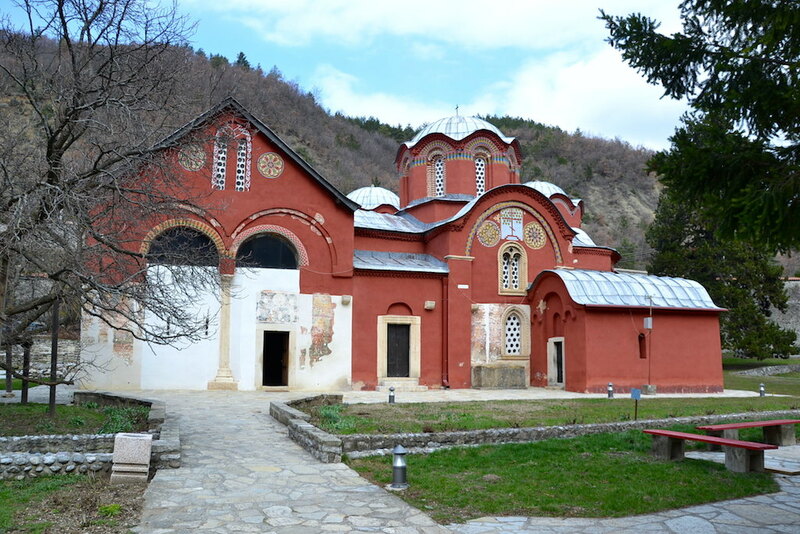 For more details, see: Oblast Brankovića, 683. Eма Миљковић Бојанић, Смедеревски санџак 1476-1560. Земља. Насеља. Становништво) (Ema Miljković-Bojanić, The Smederevo Sanjak 1476-1560. Land. Settlements. Population. ), Belgrade 2004, pp.214-215. Since surnames did not exist in the middle of the 15th century, household heads’ personal names were arrived at from the names of their fathers, brothers and certain other relatives (uncles, fathers-in law…) which were then used as secondary names in anthroponymic analysis. Zirojević, Prvi vekovi, pp. 47-113. For more details about this region, see: Гордана Томовић, Алтин у XIV и XV веку (Gordana Tomović, Altin in 14th 15th Century), in: „Становништво словенског поријекла у Албанији“ („Slavic Origin Population in Albania“, Titograd 1991, pp. 153-166. Vasić, Etnički odnosi, pp. 59. Љубомир Стојановић, Записи и Натписи (Ljubomir Stojanović, Written Records and Inscriptions), I2, p. 219. Vasić, Etnički odnosi, p. 60. Vasić, Etnički odnosi, p. 61. Bataković, The Kosovo Chronicles, part 1b (html), p.3. Радмила Тричковић, Устанци, сеобе и страдања у XVIII веку, (Radmila Tričković, Uprisings, Migrations and Sufferings in the 18th century), in: „Kosovo i Metohija u srpskoj istoriji” („Kosovo and Metohija in the Serbian History), Belgrade 1989, pp. 149-169. Bataković, The Kosovo Chronicles, part 1b (html), p. 9.